This beautiful Antique French Dressing Table has been made to give an antique used but unique look and creates a wonderful image of the past. 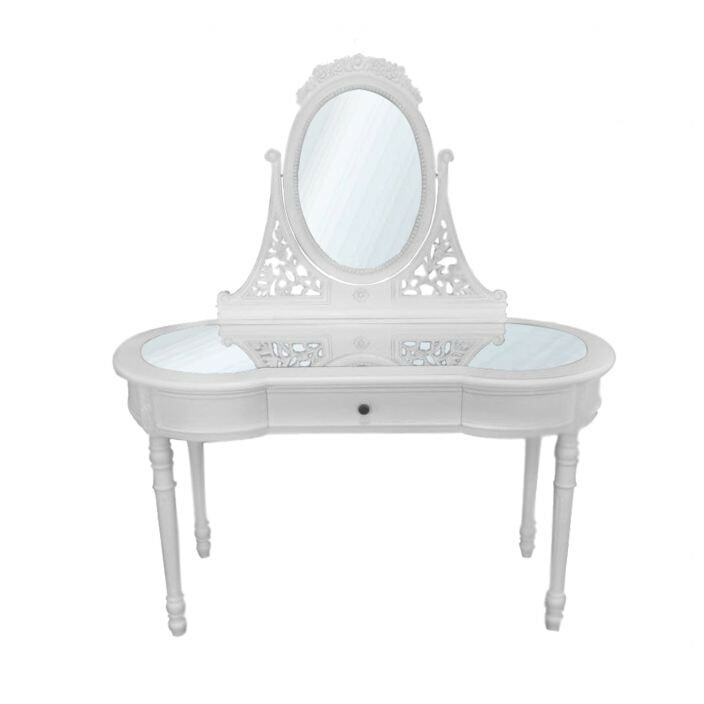 This stunning dressing table with it's exquisite antique finish, delicate wood carvings and smooth curves can help you achieve that French boudoir or shabby chic look. Featuring a stunning mirrored surface this dresser is sure to astound.